I am incredibly excited to announce a bill that I have been anticipating for over a year now! Agori Tribe returns to the stage after almost three months off as support for Backup Planet at 1884 Lounge in Memphis, TN! For those of you who are new Ragers, Agori Tribe was my first ever management client, and I am continuing to manage them from afar in my new home out east. After an incredibly successful benefit concert for the Wolf River Conservancy, the band decided to take the rest of 2015 off to work on new music and practice hard for a strong 2016. The Agori family recently fell into shock as founding drummer, Sean Naughton, was diagnosed with cancer. Fortunately, it was caught early enough that a single operation has brought a renewed sense of family, friendship and brotherhood to five best friends. 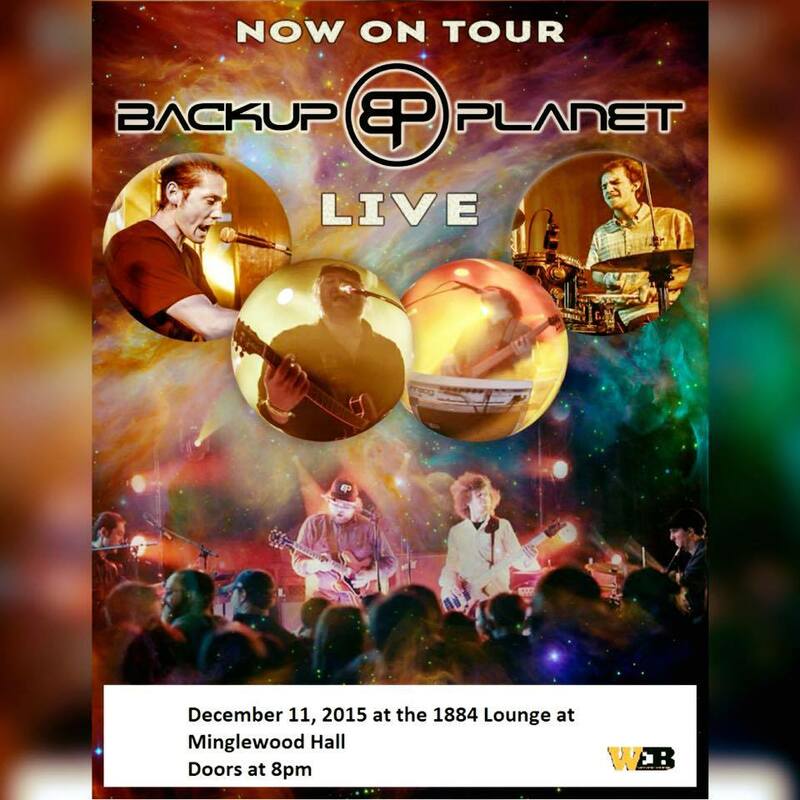 When the offer came along to join Backup Planet on December 11, 2015, the guys just couldn’t say no! I first came across Backup Planet at a Lettuce afterparty, put on by my brothers over at Whitney Entertainment Brokers, at the Young Avenue Deli in Memphis. I didn’t know much about them, but apparently lots of my friends knew them from college, so I decided to check it out. Anyone who has seen Backup Planet before can probably tell you exactly how I felt at that show. This young quartet absolutely blew me away! Backup Planet has also incurred some fairly recent trauma. Over this past summer, their tour van was in an accident, leaving most of the band pretty banged up, but none more than drummer Carson Brown. Brown has yet to rejoin the band on stage, but he remains a driving force within the BP machine as he makes his way through recovery. As these two bands continue to keep on truckin’, they are both eager to show the world that they have what it takes to transport us on an epic journey through their music. Simply put, this show is going to be absolutely insane! Be there! This entry was posted in Agori Tribe, Gigs, Just Announced and tagged 1884 Lounge, Agori, Agori Tribe, AT, Backup Planet, BP, Concert, Join The Tribe, Live Music, Memphis, Rage, Rock, Rock & Roll, Tennessee, TN, Tribe.